Have you ever dreamed to sell your home directly from your couch? Now, you can! Share the post "Have you ever dreamed to sell your home directly from your couch? Now, you can!" 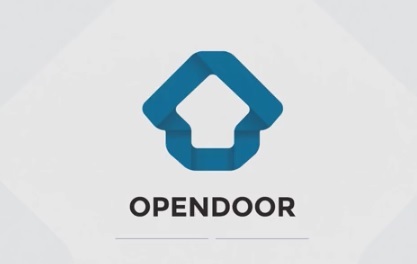 Opendoor is a startup which was founded in San Francisco in 2014. This company has a simple business model – it buys houses in cash, makes some minor repairs, and then resells them at a higher price. This model is unusual in Silicon Valley, where real estate businesses have traditionally focused on creating software to connect homeowners and buyers, not buying and selling buildings. Opendoor takes on risks associated with real estate ownership, hoping to turn a profit on each sale. For sellers, Opendoor offers a quick way to cash out. The company currently purchases homes only in Las Vegas, Phoenix, and Dallas-Fort Worth, according to its website, but it says it’s using the 210 million dollars (£168 million) it just raised to expand to 10 cities next year. Then, there is another important fact to consider: two of these areas (Phoenix and Las Vegas) were among the areas most affected by the 2007 US property bubble and in my opinion it is not a case this company is operating successfully there. Cofounder and CEO Eric Wu’s LinkedIn profile says: “Our mission is to make residential real estate liquid, changing the traditional sales process by making it simple to buy and sell real estate online.” So, company mission is to simplify real estate. Nevertheless it still takes months to sell your home. Therefore, the company has decided for this mantra “With Opendoor, your home is sole the minute you’re ready”. Furthermore you can read on the website of the company, “We believe in a better home selling and buying experience”. So they want to focus their attention on better experience and less stress in buying and selling houses process. They want to change the traditional business model in this world, they offer: speed, and customer satisfaction. How do they earn money? Opendoor relies on a complex algorithm to bid for homes sight unseen, and it can then close on those deals in as little as three days. It makes its money by taking a service fee of 6%, similar to the standard real estate commission, plus an additional fee that varies with its assessment of the riskiness of the transaction and brings the total charge to an average of 8%. It then makes fixes recommended by inspectors and tries to sell the homes for a small premium. How does the service offered by the company work? 1 You tell to the company about your home. Requesting an offer takes just a few minutes and is completely free.2 Receive an offer on your home. The company bases its offer on a comparative market analysis and home’s unique story. 3 Schedule your home inspection. After accepting Opendoor offer, the start-up will do a free, quick home inspection to confirm your home’s condition. 4 Choose your move-out date. Select the closing date you want, from 3 to 60 days from today. 5 Company will take care of the rest. Watch the progress of your sale while Opendoor takes care of all of the details, including arranging escrow. You will receive the proceeds from your home‘s sale on your chosen closing date. Furthermore, Opendoor hopes to add even more ease of mind for buyers with its new policies. The company will offer its 30-day money-back guarantee to all buyers, for any reason. If they do want to give back the house, so to speak, Opendoor will purchase it back at the price it sold the house, minus the fees associated with the sale, including any escrow fees, title insurance, homeowners association fees, and commissions. Sellers who took out a bank loan to purchase the house will have to pay back the loan to release the house’s title back to Opendoor, said the company. So, this kind of warranty could be an important source of competitive advantage on its competitors. But, in any case, it doesn’t matter the success of a company, there are always some risks. A potential problem with these business models is that they are based on the assumption that both rents and property values will continue to rise, which is not an idiotic assumption over the long term, but what if they stop? In conclusion, certainly the business model is simple and brilliant; probably it could help many people to get quickly big amount of money from the selling of their house but maybe someone could see this company as a hawk which wants to take advantage from people who really needs money because it isn’t a good period of their lives. In the end, my hope is not going to end as the last financial crisis, namely I hope this company with this simple model is more efficient and more transparent in such a way as to avoid the problems connected to the banks business model in the real estate world. Wow great solution but i think it is just good for people who don’t have much time and they don’t want to take care about selling there house. Otherwise I am sure that they would like to do it on there own as they will save a lot of money! I know that in the Silicon Valley people have more money but eventhough 8% of the value of the house is a lot. thank you. About the percentage I think it isn’t so high, I mean, I don’t think its competitors have better commissions. Then, if you notice the cities where it operates, all cities hard hit by the recent financial crisis, so we can say that are similar to hawks, because they want to take advantage from people who need money as soon as possible and not that they ask for an high price.